Wedding is one of the common events in our life, everyone goes through this event, and also it’s really amazing and important as well. So, we everyone want to make their wedding moments more meaningful by showcasing the event photos, videos, and other memories in a beautiful and professional way. However, it’s hard to find out the most perfect way to do that. 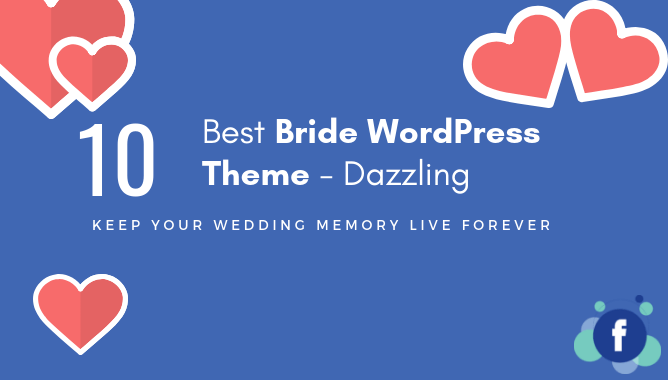 That’s why here we’ve listed the 10 best dazzling bride WordPress theme for you. So, you can build a beautiful & elegant wedding planning website, personal wedding blog, or a wedding shop easily without any special coding knowledge. Each of the listed themes is fully responsive, flexible, easy to use, and carefully made mainly focusing on wedding events. Whatever the event is, it doesn’t matter. If it’s related to the wedding, then you’ll definitely find the perfect bride theme here for your wedding website. Our first pick is OnleLove – a clean & elegant WordPress wedding theme that can be used for multi-ideas & purposes. With gorgeous built-in templates, RSVP form, slideshow, countdown, video slider and photo gallery this theme is nicely suitable for a personal wedding blog, wedding planner, marriage anniversary, wedding planning agency, wedding shop, and kind of wedding website. Marriage is one of the best wedding WordPress theme chosen by over 2000 couples because of its unique design and features. It’s simple and super easy to use through its custom admin panel. Customization is easy as well from the CSS file and the custom color picker admin panel. You can choose this wedding theme to easily create your wedding website or wedding blog without any kind of hard-coding skill. The Wedding Day is our third pick on this list that’s a lovely responsive wedding planner WordPress theme. With powerful built-in elements, features, and top-notch customer support it makes it easy to create a slick designed WordPress wedding website with just a few clicks. The layout possibilities are endless with unlimited styles, CSS animation, and other options yet lighting fast with exceptional loading time. Jack & Rose is another fantastic bride WordPress theme that could be the perfect solution to create and present your wedding website really in no time. 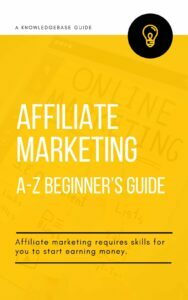 It’s smooth, fast, and mobile-friendly, and built mainly focusing on the simplicity that’s why you can easily install, setup and use it. With drag & drop page builder panel, you can easily build your desired wedding website, whereas you don’t need any coding knowledge at all. Moments is a kind of bride WordPress theme that’s not only suitable for the wedding but also for any kind of celebration & event. It includes a set of easy to use, nicely & carefully designed, wedding announcement and elegant event invitation templates. As well as different awesome features and options including photo galleries, shopping page layouts, guestbook, RSVP form, image & video slider, multiple side area types, smooth page transitions, social icon widgets, and much more. GeekLove is a clean, minimal, and fully responsive WordPress wedding theme for building a wedding website with elegant design and rich features. It lets you set up your weddings events so easily and give you the directions to the victors describing each event in an individual event page. With a bunch of inbuilt page templates, RSVP form, guestbook, and many other powerful features, undoubtedly, GeekLove is one of the best wedding WordPress theme. Wedding Industry is another multi-purpose bride WordPress theme that includes the best-designed wedding templates that nicely fits to your desire, depending on type of your wedding industry or business. Using this wedding theme, creating a website related to the wedding, wedding location, wedding atelier, save the day, wedding flowers is just a piece of cake, you can set up and finish the creation in a few easy steps. Qaween is one of the most popular feature-packed and fully responsive WordPress wedding theme that can help you built the best wedding website for you and your couple. It’s powered by Redux – a top-notch theme framework, and also highly customizable with hundreds of powerful easy to use options. So, you customize it to the extent possible like changing the colors of almost every element, and changing the font as well, and much more. Honymoon is totally responsive, lovely wedding & wedding planner WordPress theme that could be the perfect choice for your wedding event. It’s sleek, minimal, flexible, packed with drag & drop page builder, CSS animations and 100+ super easy to use options, and much more. Overall, Honeymoon theme has almost everything you need to create your dreamed wedding website for sure. Now, we’ve come to our last pick – Eternity, an elegant and handcrafted beautiful responsive bride WordPress theme. It’s powered by the ZURB Foundation framework that makes it a just a breeze to build your wedding website creating any kind of layout you desire. Some of the main features of it are a simple easy to use RSVP form, lightbox photo gallery, smooth scrolling, retina ready images, and much more. We every one of us has to go through the wedding event that’s one of the most important events in our life. And, we try our best to keep the event’s memories as nicely as possible. But, everyone isn’t well-known about the right way. These bride WordPress themes are actually for them, so they can easily keep their memories forever by building a website online without any hassle. However, we’ve not tested each of the themes above, but after hours of research and reading users feedback, they are good. You can choose any of them! Hope, you’ve found the right bride WordPress theme to build your desired wedding website. So, now, finish the creation of the website and let the peoples you love know and see the evergreen moments and memories of your wedding! If you got any query in mind that you want to know about your wedding website creation, don’t be hesitate to ask us. We’ll be happy to assist you.